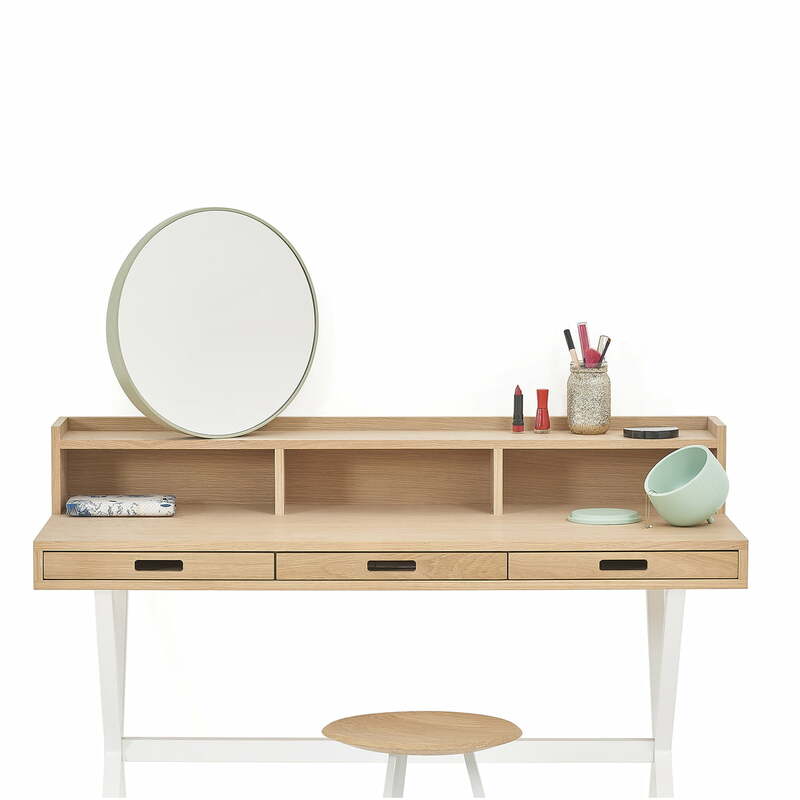 The Hyppolite Secretary Desk by Florence Watine for Hartô is a compact, practical and elegant Secretary who puts the really old-fashioned piece of furniture in a modern light. The timeless and elegant look fits also perfectly in any interior. 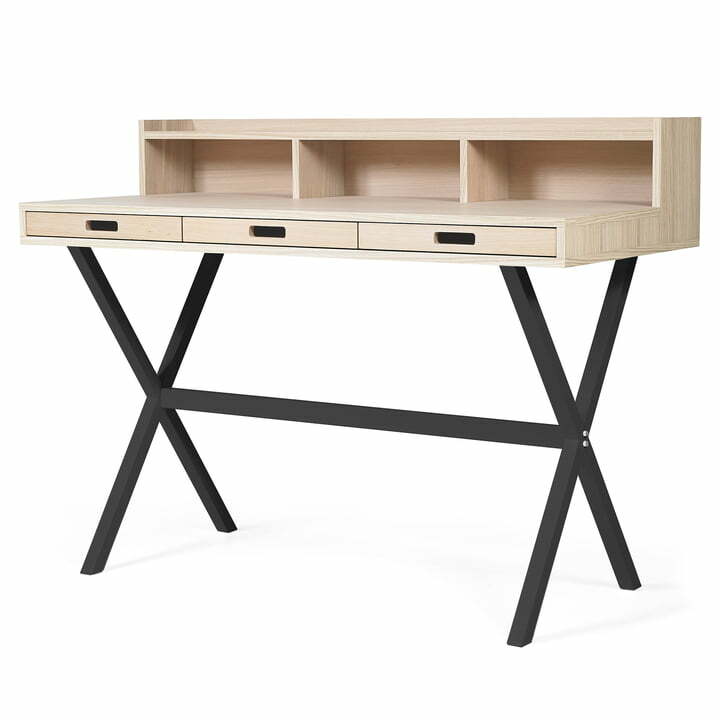 The Secretary Desk with three drawers is made of MDF and fitted with high-quality wood veneer. The body rests on a four-legged tripod frame in matt lacquered metal in various colours. The lower frame in black and white fits excellently into modest facilities and the bright colours such as yellow, red, or white green are a real eye-catcher in the home office. Optionally, also storage boxes are available for the Secretary Desk that perfectly fit into the racks on the countertop. They are made of painted metal and are available in various colours. 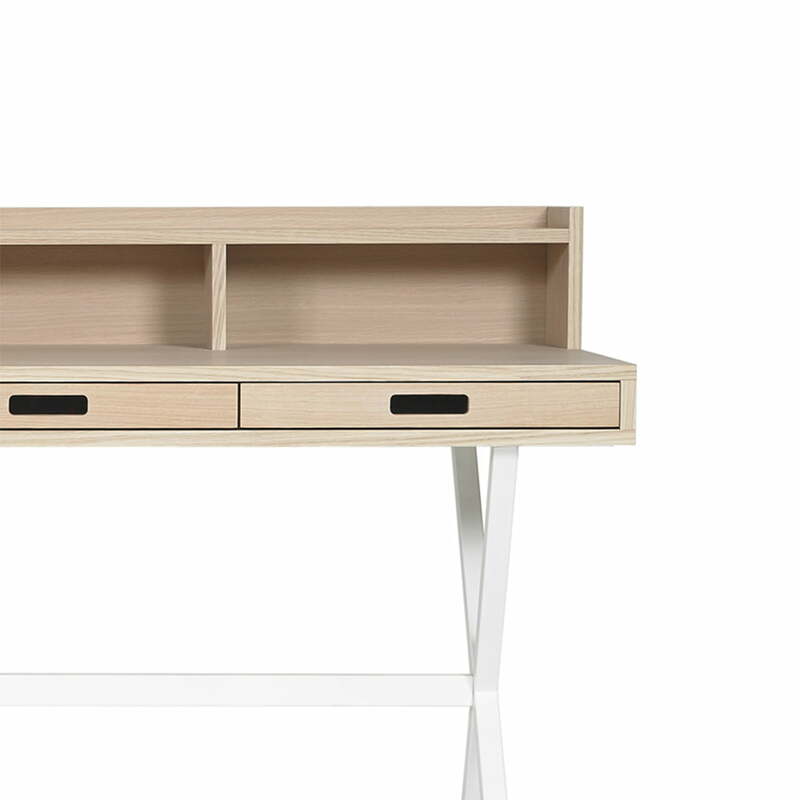 The Secretary Desk with three drawers is made of MDF and fitted with high-quality wood veneer. 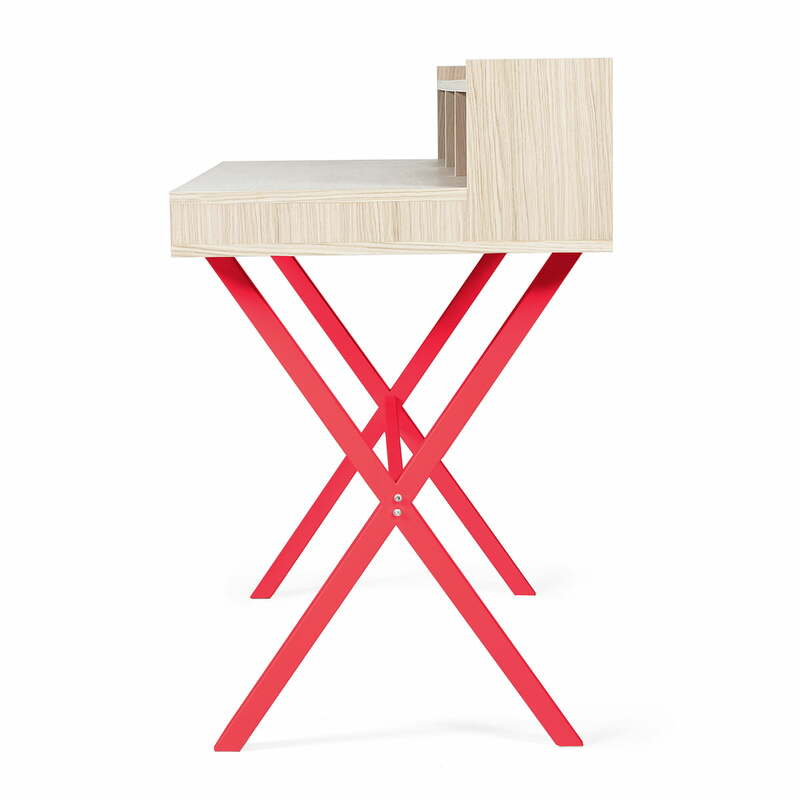 The body rests on a four-legged tripod frame in matt lacquered metal. 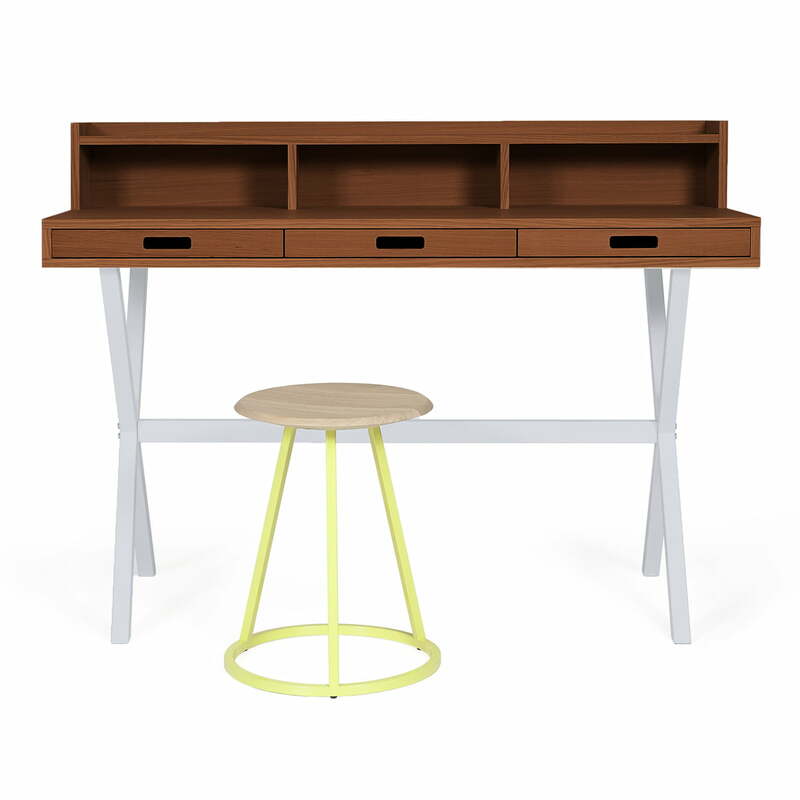 The Petit Gustave Stool by Hartô in sulfur yellow sets a colour accent in conjunction with the Hyppolite Secretary Desk by Hartô in walnut petrol (RAL 5020). 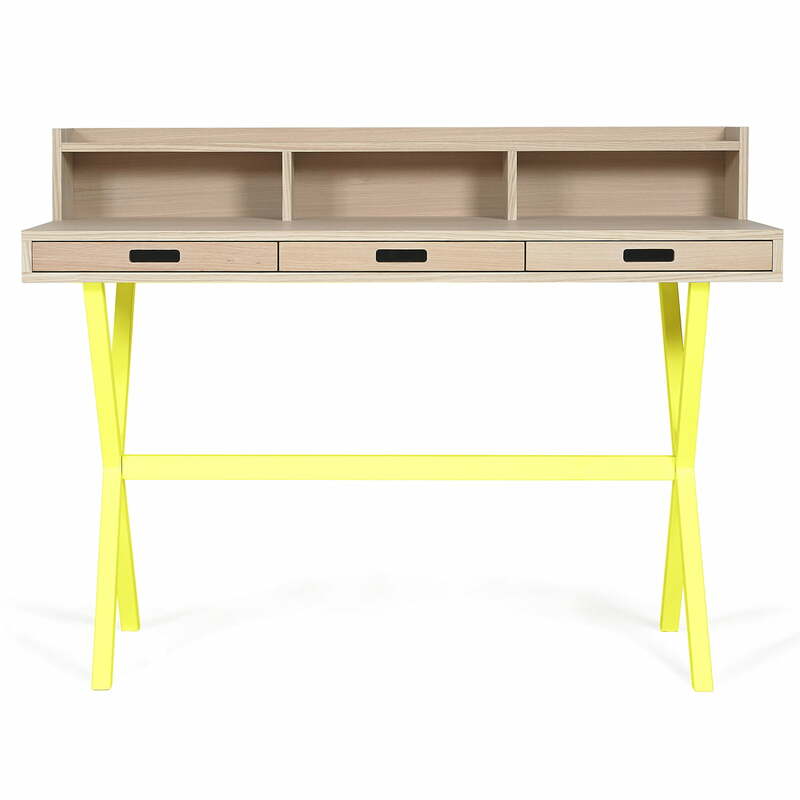 Single image of the Hyppolite Secretary Desk by Hartô in oak lemon yellow (RAL 1016). 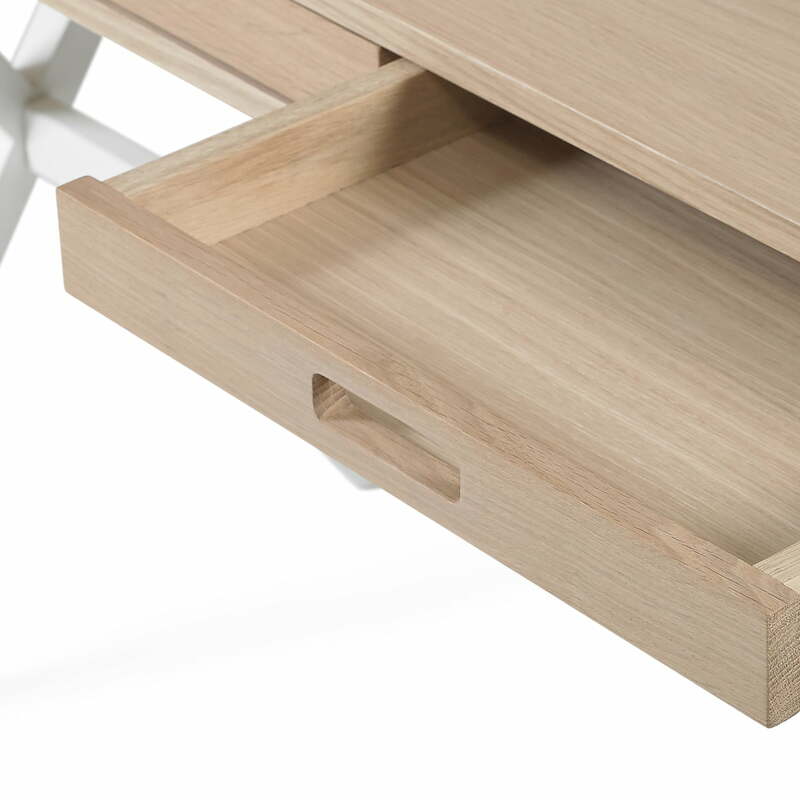 The Secretary Desk with three drawers is made of MDF and fitted with high-quality wood veneer. 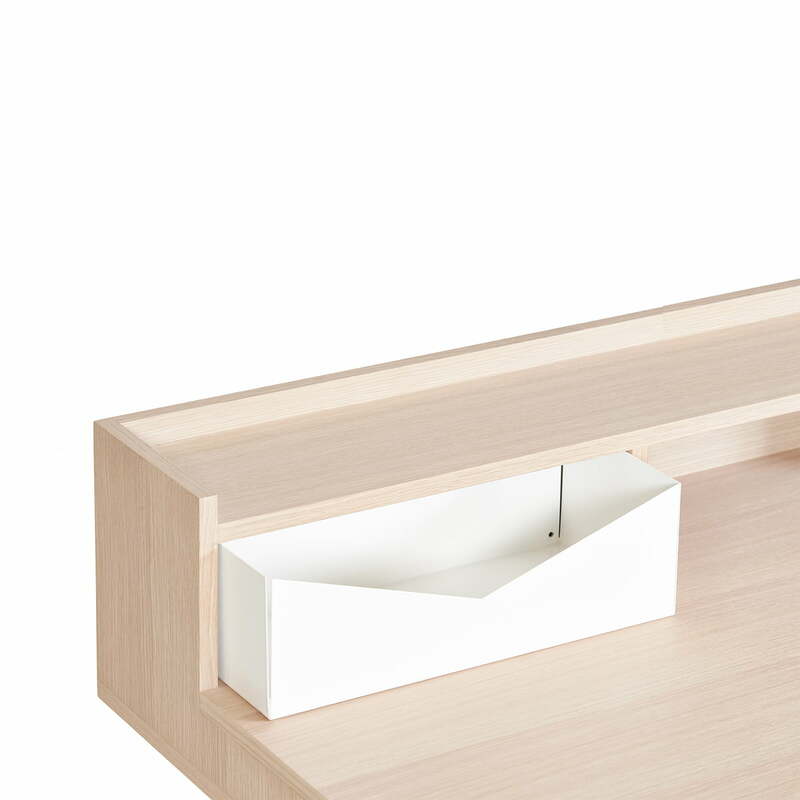 The base of the Hyppolite Secretary Desk by Hartô is made of metal in white and blends perfectly in simple facilities, creating a timeless impression.